An island where your inner pace slows down and peace trickles in. It’s almost a year in the making. Yes, you read it write. I have booked my tickets for this Island Adventure during a seat sale last March 2016. Anticipation started to build up few months before when I was creating my itinerary. I googled it and tried to ask some friends’ advises who had been to Bali. I saw spectacular beaches and intricate art – things that defines Bali. But nothing had prepared me for the experience Bali was. I have been to several places in Asia but the pleasure is quite an insipid word to describe Bali, really. My eyes feasted here from beautiful beaches to temples surrounding the busy streets of Kuta and the artistic side in Ubud. The flight from PH to Bali is close to four hours in duration. The breath taking and scenic views of the volcanoes and oceans was a sight to behold when we are about to land. The volcanoes are high, majestic. Gaping craters with very obvious molten matter inside. Mostly quiet but not inactive. A silent, mysterious, potential danger, yet beautiful. At Denpasar International Airport, the first whiff of Bali touches you as you see a sparkling ocean on both sides of the runway as you touch down. You step out of the flight without a fancy air-conditioned jet bridge. Bali’s airport is a bit rustic. A bit run-down in a charming way. More character and less material investment. It sets the pace for Bali. You and everyone else has left behind all of that and is in Bali for some rejuvenation, some detox, some refreshment, a little escape that gives you enough energy to go back and say to life: “In your face, because I’ve just been to Bali”. Bali is a perfect holiday destination for all ages. It offers not just various customs but also adrenaline pumping activities in its parks. Many exciting amusements are available in Bali, with something new opening all the time. The number of offshore and inland attraction is a bait to all tourist coming in to the island. This tropical paradise is a blend of modern tourist friendly facilities with wonderful shopping blended with a rich past and heritage. Topping it all, some of the best surfing beaches in the world can also be found here in contrast with its beautiful white sand beaches and gentle seas. This small island, like many island in Indonesia has developed a world of its own. It not only captures what is special about Indonesia but also has a uniqueness of its own. Balinese are unique as they were able to preserve their Hindu culture against the advance of Islam, the dominant religion throughout Indonesia. This is still reflected in their day to day life and can be seen in the numerous ceremonies , festivals and magnificent temples and palaces. Balinese are skilled people particularly woodcarving and in fashioning objects of gold, silver and other metals. The Balinese are noted for their traditional dance and music too. Our first day here in Bali is all about exploring the southern part of the Island. First order of the day, upon arriving in the island is to taste something Authentic for breakfast. Our guide took us to the nearby eatery. It’s a buffet style but you get to choose and pay whatever is just on your plate. After having breakfast, we decided to freshen up first before starting to roam the island. We asked our guide if he can call the hotel in advance and check if it’s available for an early check in. Standard check in time is 2 PM. It was only around 9 in the morning when we called, fortunately, the room is already available for check in with no additional fee. Our first 2 nights will be spent in Berlian Inn in Kuta. It’s a walking distance to the beach, the market and restaurant chain. It’s a spacious room for two person and can accommodate extra for a fee. We had our own bathroom with hot and cold shower and a small veranda in front of the garden where we can chill after a long day in the island. 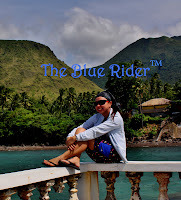 Here’s the Blue Rider’s 5 Days 4 Nights Itinerary in Bali. Cick the links below to get to the details of each day tours. Bali's low-lying regions are uniformly hot and humid year-round. Temperatures can reach 90°F (32°C) soon after midday, and they drop no lower than 70°F (21°C) at night. The weather at higher altitudes is up to 20°F (11°C) cooler. The best months to visit Bali are April-May and September-October, when crowds are lighter and you're not so likely to get drenched: The west monsoon, from November through March, brings heavy rains. It can drizzle for several days in a row or pour half the day, with only occasional dry spells. Since most of Indonesia's attractions are under the open sky-temples and other architecture, beaches, and outdoor festivals-the monsoon can very literally dampen your enjoyment. In the peak tourist months, June and July, popular areas crammed with visitors. Bali hotels also tend to be fully booked around Christmas and New Year's. Visiting Bali is an unbelievable, colorful and elevating experience. Beauty, color, rituals, offerings, architecture, food, history, culture, enrichment is all around you like you’ve never experienced. This is the magic that will take your breath away.